After so many speculations and rumors finally today we know that Verizon iPhone is real thing. Verizon has invited the press to a special media event on Tuesday where it is believed that Verizon will debut CDMA iPhone for Verizon network. 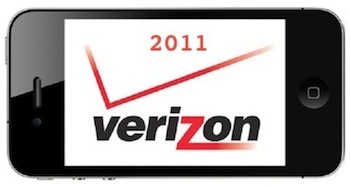 The Verizon iPhone CDMA event will be held in New York on January 11th, 2011 at 11:00am EST. It is also rumored that Steve Jobs may show up at Verizon iPhone event for the announcement. After such long wait for Verizon iPhone, many would be looking for how to watch Verizon iPhone event live online. Unfortunately Verizon iPhone event won’t be live streamed and the only way to catch event announcements is via media & high profile blogger invited to the event. The good thing is technology advancement has made it possible to live blog from right from the event and here is the list of blogs who will be live blogging from the Verizon iPhone CDMA event. If you just want to read the Verizon iPhone keynote details then twitter is good place to catch up updates live, follow #verizon hashtag. If you know any website or blog covering Verizon iPhone CDMA event Live online or Live streaming video or audio then do let us know via comments. Watch Apple iPad 2 Event Live Online. Why is the title of the post “Watch Verizon iPhone Event Keynote Live Online Streaming”? Because they wanted to bait you.